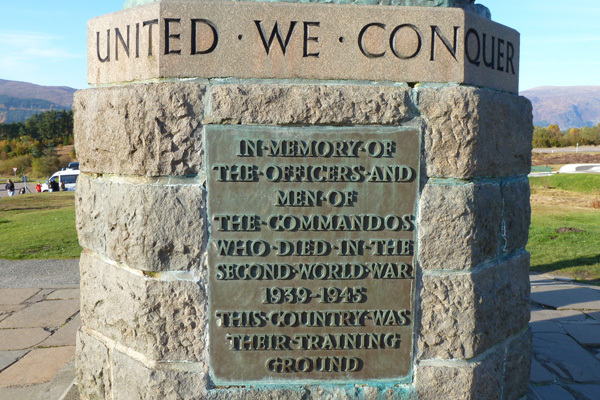 The Commando Memorial commemorates the British Commando Forces in the Second World War. The troops were stationed in Achnacarry Castle (the ancestral home of Clan Cameron) between 1942 and 1945. 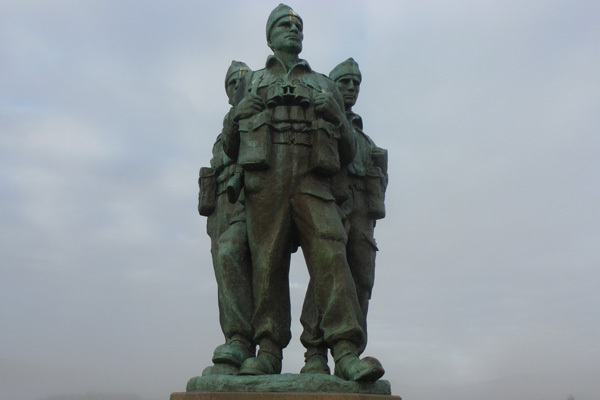 The training depot was not only responsible for training British Commandos but also forces from Europe and USA. 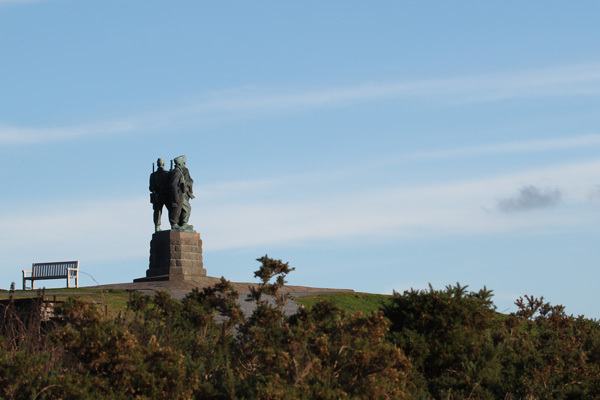 The Memorial overlooks their training grounds and depot, where the troops undertook a gruelling training course in the rugged terrain. 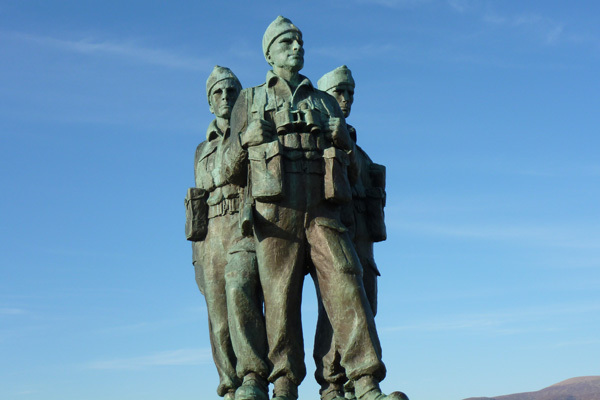 The volunteer soldiers who completed the course successfully joined the Commando unit and were entitled to wear the ‘green beret’. 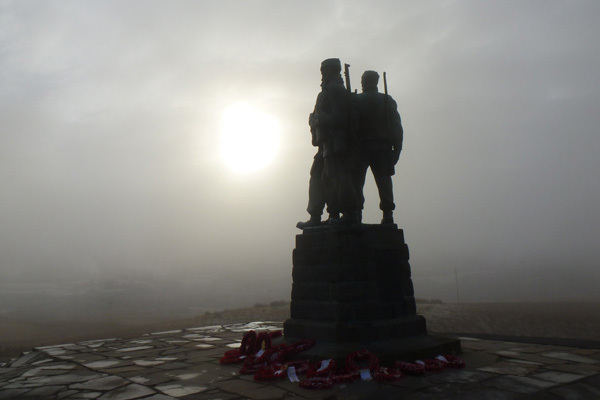 The aim of the unit was to produce an elite, well disciplined, fighting unit, able to take the initiative when required. 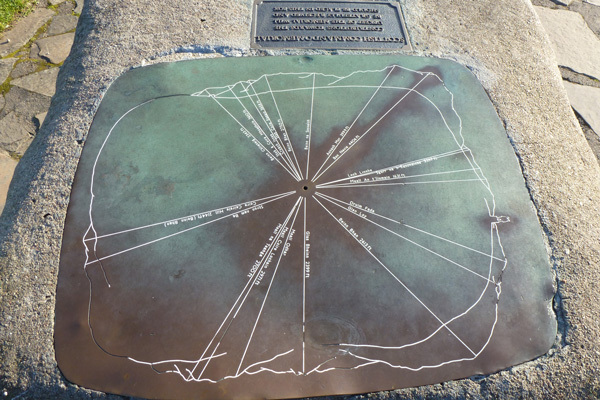 The training took full advantage of the local topography and climate to develop fitness, endurance, responsibility and self reliance, as well as honing skills of field craft, handling of weapons and marksmanship. 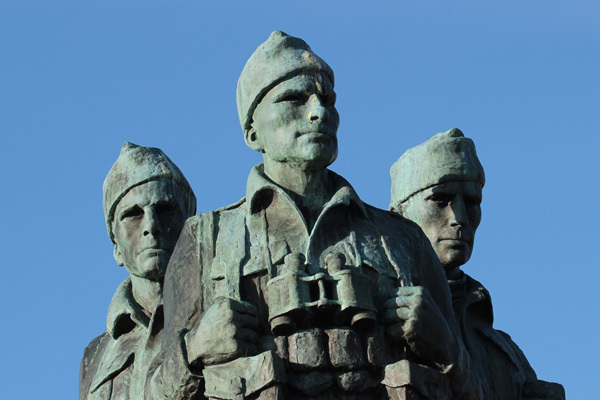 The memorial is a bronze sculpture of three commandos with cap comforter, binoculars and rifles mounted on a stone plinth with a memorial plaque. 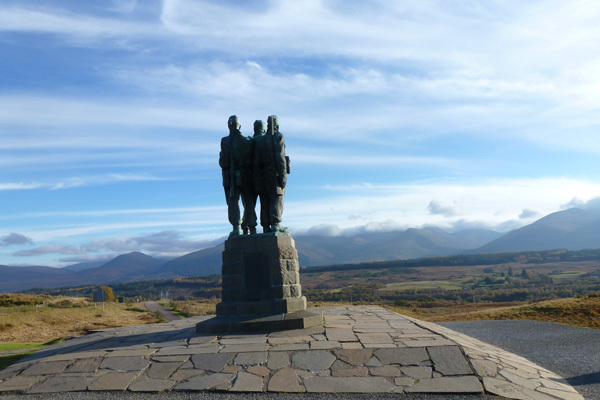 The men overlook the Nevis Range. 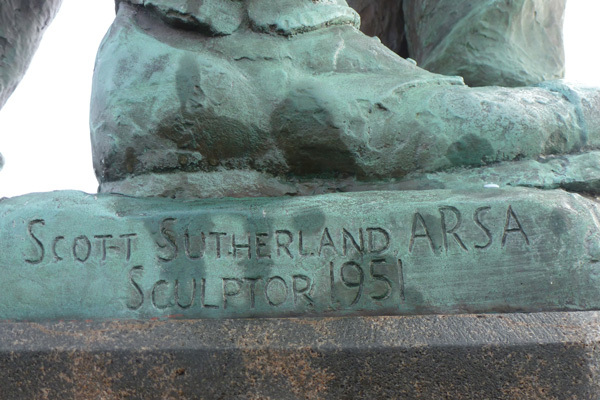 The sculptor was Scott Sutherland and the sculpture is dated 1951. 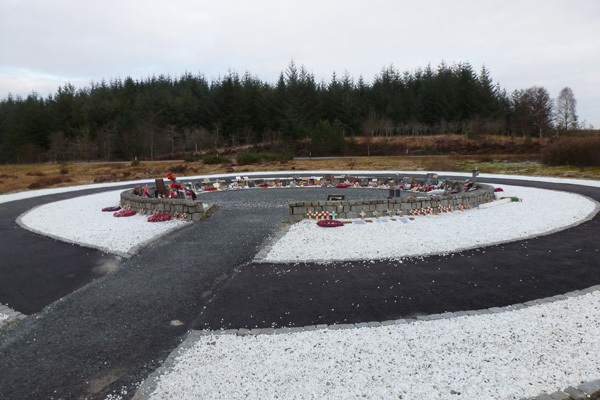 The nearby memorial garden commemorates service men and women involved in conflicts abroad, including those in Afghanistan and Iraq.